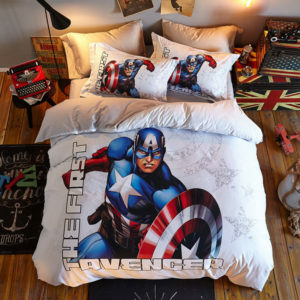 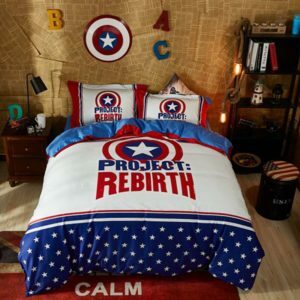 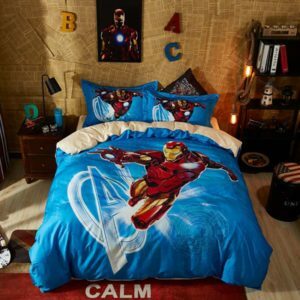 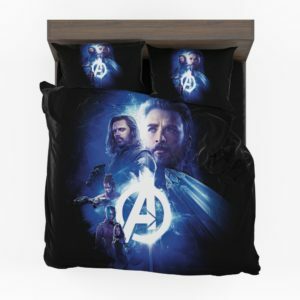 Captain America Bedding Sets, Decorate your child’s room with his favorite superheroes and change the way it looks. 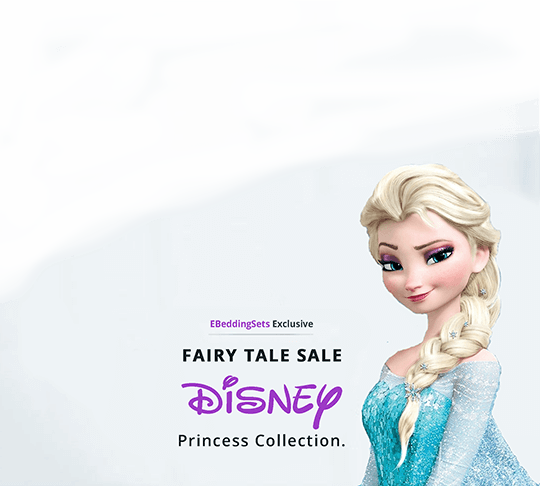 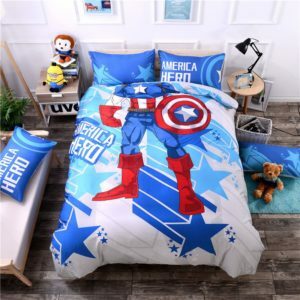 This super stylish collection is bold, colorful and guaranteed to make sleeping comfy and fun for your child. 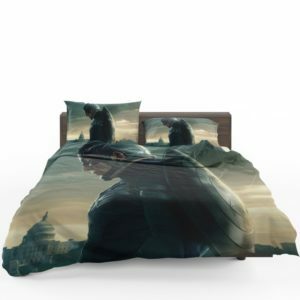 The unique collection has a wide range of prints and sizes just pick the one that suits the size and your budget. 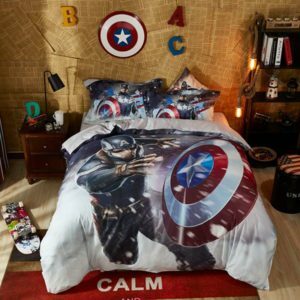 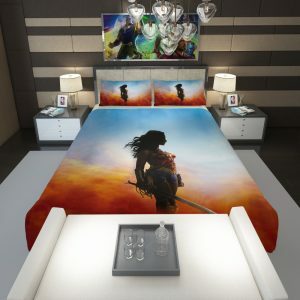 Create an exciting and cool look for your child’s bedroom with the popular characters from his favorite movie. 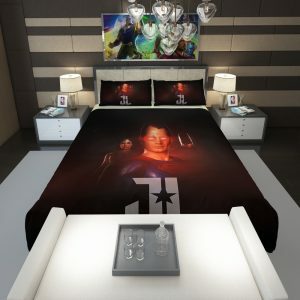 It’s his personal zone and it should reflect his choice. 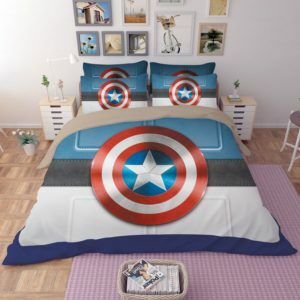 We offer pocket-friendly bedding sets that are of premium cotton quality. 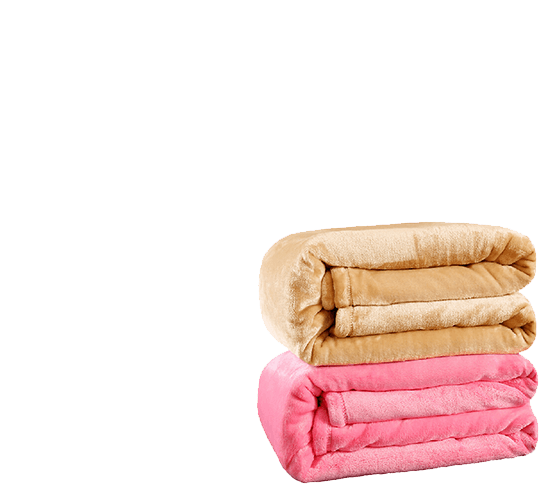 It doesn’t shrink, fade or discolor even after several washes. 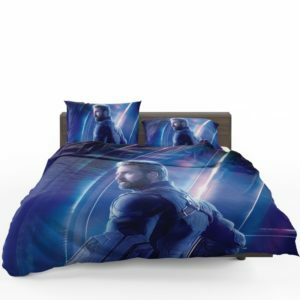 It is soft against the skin and comfortable for a good rest. 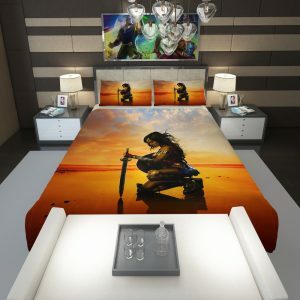 And this durable collection is easy to maintain as well. 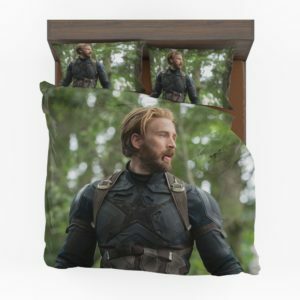 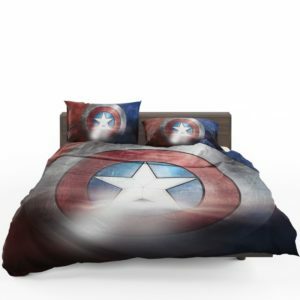 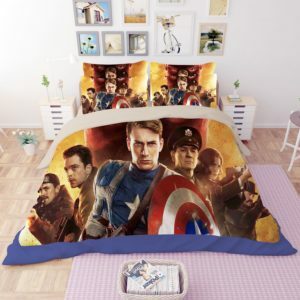 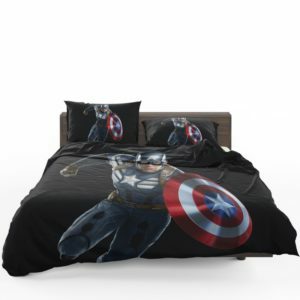 Captain America Bedding Sets contains the fitted sheet, Comforter / Duvet Cover , and pillow cases. 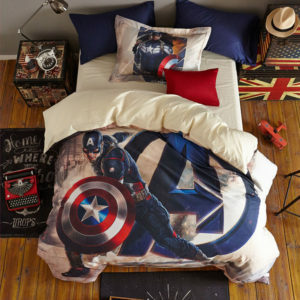 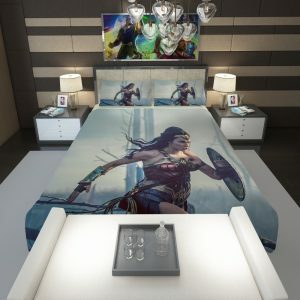 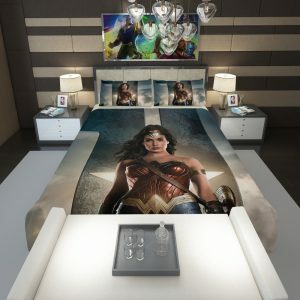 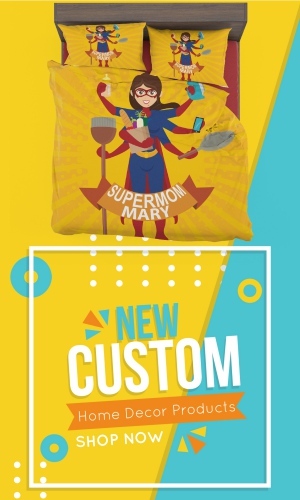 You can even get the coordinated set of a comforter and blanket.